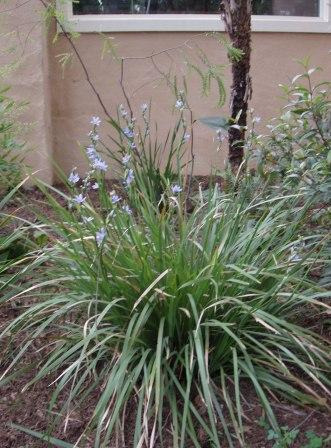 A beautiful tufted perennial with grass-like erect, flat green leaves and blues profuse flowers in spring. Grows from south-western Victoria, Kangaroo Island and across to the Stirling Range in Western Australia. Very hardy and attractive plant and will grow in most soils and situations. Excellent for containers. Can be propagated by division or seed. Propagation Information: Seed germinates 30-60 days after sowing.